The demand for cannabidiol (CBD) edibles is a global phenomenon. 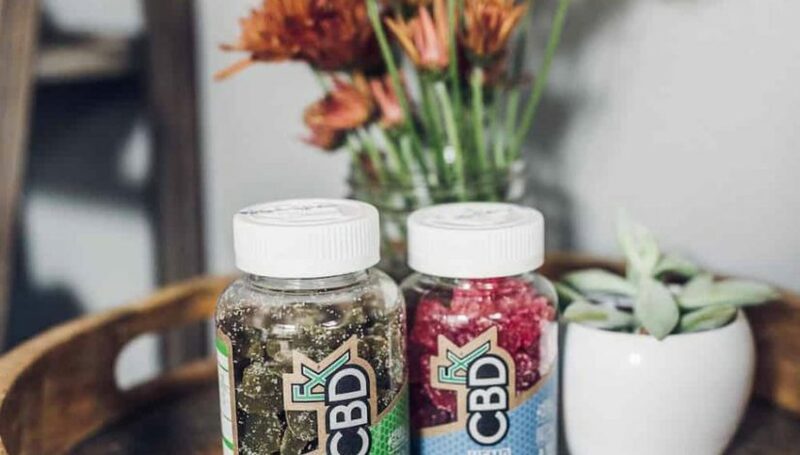 As more people are becoming aware of the incredible potential of CBD, the next logical step has been to find supplements that potentiate (or ‘boost’) CBD’s effects. Enter CBDfx’s wildly popular gummies with turmeric and spirulina: by combining these two superfoods with a potent dose of CBD, CBDfx has boldly entered an exciting new era of CBD edibles. Here are nine compelling reasons why your daily dose of CBD should come with turmeric and spirulina! CBDfx Gummies are Easier and More Fun! Let’s face it: supplements can be boring. Another nondescript white pill, another glass of water, and you’re on with your day. But what if your supplement came in a mouth-watering, crave-inducing gummy format that was so delicious you had to stop yourself from eating more than you need? Yep, it’s official: supplementing with CBD gummies is simply easier, tastier, and more fun! Most importantly, the better tasting something is, the more likely you are to take that supplement consistently. As a result, you’ll experience better outcomes. It’s pretty simple: don’t miss a day of your dose, and you’ll reap the benefits to their fullest potential. Hey, we’re not against vaping CBD. It can be the fastest acting and most enjoyable way for plenty of people to get their daily dose(s). That said, there are some definite advantages to eating CBD as opposed to inhaling it. For starters, although the absorption happens more slowly, the effects are said to be felt for a longer period of time — and possibly more intensely. That can eliminate the need to dose multiple times in a day, and some people simply find they like the feeling of ingesting CBD more than vaping it. If you’ve exclusively vaped CBD until now, you owe it to yourself to give CBDfx gummies a try. CBDfx’s most popular gummies contain a hearty dose of turmeric and spirulina. But if you’re thinking that turmeric is just another food or spice that people are claiming has some dubious health benefits–think again. There’s a reason why Memorial Sloan Kettering Cancer Center has an entire page devoted to this herb. There’s a reason UCLA published a study in January 2018 finding that turmeric likely improves memory and mood in people who take it. And there’s a reason half a century of clinical research has explored turmeric’s ability to help treat everything from Crohn’s Disease to arthritis to cancer. Although there’s more research to be done, there’s no question that this ancient herb commonly used in curry modulates cell signaling pathways to affect positive change in the body. That brings us to the other secret ingredient in CBDfx gummies: spirulina! Spirulina is essentially a spiral-shaped bluish-green algae that grows quite naturally in bodies of water like ponds and lakes. So, what makes spirulina different from every other kind of algae out there? The answer lies in its impressively dense nutrient content. This humble little algae is absolutely–and we mean completely– loaded with vital nutrients. It’s got all eight essential amino acids, tons of B-12, magnesium, iron, beta-carotene, and 26 times the calcium you’d get from a glass of milk. And that’s not even the full story of all the dietary wonder found in spirulina. In fact, NASA uses spirulina as the supplement of choice for astronauts stuck in space for a long time so that they can remain healthy! Another great reason to stock up on CBDfx Gummies with Turmeric & Spirulina is that it can save time and money when it comes to your supplement regimen. Why have three different bottles cluttering your counter space, with three different pills to swallow, when you could streamline your daily routine with one easy, yummy gummy that contains all three supplements you want? CBDfx’s research showed that many people who take CBD were also (smartly) taking turmeric and spirulina separately. By combining the three, customers can save a good chunk of cash every month and spend less time chugging water to take pills in the morning! By taking all three at once, you’re giving your body an even better chance to get what it needs to stay rich in nutrients and promote good health. When you order with CBDfx, you’re not getting some haphazardly made supplement of questionable origin (we’re looking at you, shady online CBD retailers!). Instead, you’re getting the absolute finest organic ingredients, manufactured to an unbelievably high standard of consistency and quality. It’s why CBDfx feels confident enough to post their laboratory batch results right on their website, allowing you to see the specific chemical makeup of each and every batch of gummies you consume. Combined with their picky, particular requirements for organically farmed hemp, you can feel confident in the quality of what you’re eating day after day. Nobody is claiming that CBD is an instant miracle cure for all types of pain. However, pain management is a complicated process that involves trying and combining different things to achieve the best possible result. For many people, CBD has been the missing piece of the puzzle that allowed them to manage their pain without resorting to harmful, addictive opioids. If you’re looking for a way to help treat your pain naturally and organically instead of with harsh, synthetic chemicals, CBD might just be a new cornerstone of your daily pain management regimen. Finally, there’s no denying it: we live in anxiety-inducing times. Whether it’s the constant flow of frightening or negative updates via the 24-hour news cycle, or the ego pain that comes from social media addiction and comparing ourselves to others, anxiety is a serious problem for everyone. Some people are able to manage their anxiety via positive outlets like therapy, yoga, hobbies, or natural remedies like CBD. Others turn to more destructive vices like alcohol or over-using video games and Netflix. It’s no secret that one of CBD’s most promising potential effects is its anxiolytic (anti-anxiety) properties. It’s why a huge number of people who take CBD started using it in the first place. And by having a cute little gummy bear right there on your desk, ready for you to pop it in your mouth during a stressful moment, you’re giving yourself just one more avenue for relief from our anxious 21st-century lives. The post 9 Reasons Why You Need CBDfx Gummies with Turmeric and Spirulina appeared first on High Times.